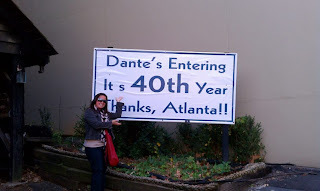 On my mom's 40th birthday we went to a very special fondue restaurant named Dante's Down The Hatch. There was a pirate ship IN the restaurant. Our waiter said there is a witch in the girls bathroom and my sister Gabby ran out of the bathroom because she heard a witch say HEHEHE. Outside of the bathroom it looked like a old barber shop with antique telephones which were cool. There was live jazz music and you can eat on the ship and in the ship. If your lucky you can meet Dante. 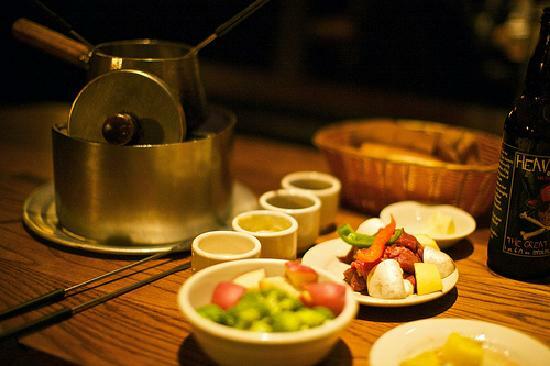 Cheese fondue is the appetizer with bread and fruit. For dinner there is chicken, beef, steak, vegetables, fruit and mushrooms BUT you must cook them yourself. You put them in the oil BE CAREFUL the oil is HOT!! For dessert there is homemade chocolate fudge cake and I got a vanilla milkshake (they don't usually make those but they did for me). There is a moat under the boat. In the moat there is a real LIVE ALLIGATOR and other animals in the moat. I loved when we got to talk to Dante! He came to visit with us at our table and he told us about his interesting life. 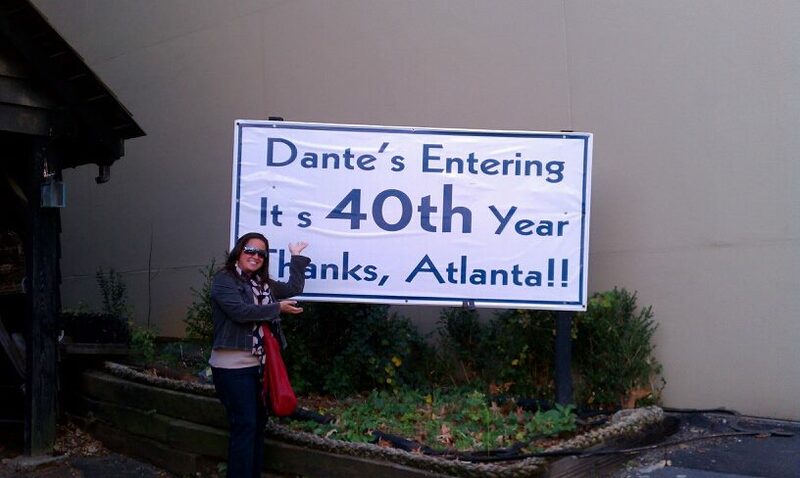 He also said that Dante's is going into it's 42yr and that they need to change out the banner. My mom was happy it still said 40! My sister Aubrey talked in a British accent. Which kind of embarrassed me but was funny. Mom even made her order her chocolate shake in her accent. My family had a great time at Dante's and I think your family would too! Dante's will be closing on July 30th, 2013. Click Here to read the press release.